This weekend flew by like most of the others. Aside for a fun evening spent with friends in San Francisco Saturday night, I spent most of my time at home focused on a fun, blog-related project (details coming soon) and the rest in the kitchen. I should really consider setting up a bed next to my stove. Some weekends it feels like I don’t do much else but cook. This is not a complaint, mind you. I am finding more pleasure in blogging/cooking than ever (so many dishes I’d love to make). In fact, when I find myself with some free time, I seem to gravitate towards the kitchen wanting–no, needing–to cook. I can’t relax. But, I may be letting some other activities fall by the wayside because of it. My husband has mentioned a few times that he misses riding our bikes together. Until the last couple of months, cycling was a big part of our time together. We used to log 150-200 miles a week on our bikes–all other activities revolved around that. To be honest, I miss it, too, not to mention the exercise would help offset the uptick in baking these days. I have promised him that as soon as oak worm season is over in a few weeks (those little green worms that dangle from oak trees this time of year–can’t stand them and the bike routes here are lined with oak trees), I’ll be back in the saddle…literally. Balance. I need to find balance. To make up for my neglect and also to reward my husband for putting his skills with the power saw and power screwdriver to use in helping me with my project, I decided to prepare this simple lunch for him. Instead of going out or serving him leftovers after returning from his bike ride, I wanted him to have a meal he would enjoy. 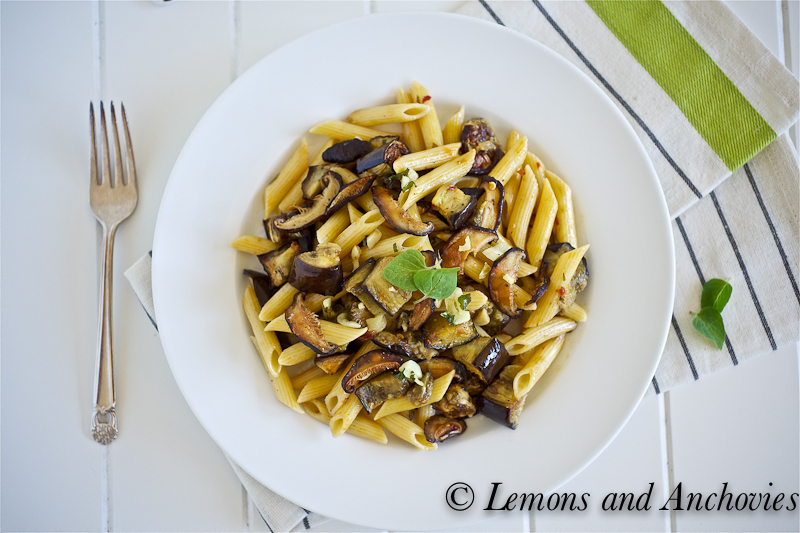 Penne is my husband’s pasta of choice and eggplants are a staple in our home. I decided to roast the eggplants to lend a bit more flavor to the dish but then I spotted the leftover shiitake mushrooms from a pot of soup I made a few days ago. Why not roast them, too, I thought. Almost everything gets a flavor boost from being roasted so I decided to give it a try. The last bit of inspiration came from my morning round of visiting other food blogs. I have been following Market Manila for years, well before I started Lemons and Anchovies. One of his recent posts was of his version of Sambal Eggplant, apparently a popular southeast Asian dish. I am never without Sambal Oelek–I love it the way others love Sriracha–and I use it to brighten not only rice but also pasta dishes (I’ve also used it on my version of Huevos Rancheros). In this case, Marketman sautéed the eggplant with sambal so instead of just topping the finished dish with the latter like I normally do, I decided to substitute it for the chili flakes. This was my husband’s reaction and I have to admit that I agree wholeheartedly. I serve roasted eggplants about once a week so there was no surprise on taste here. 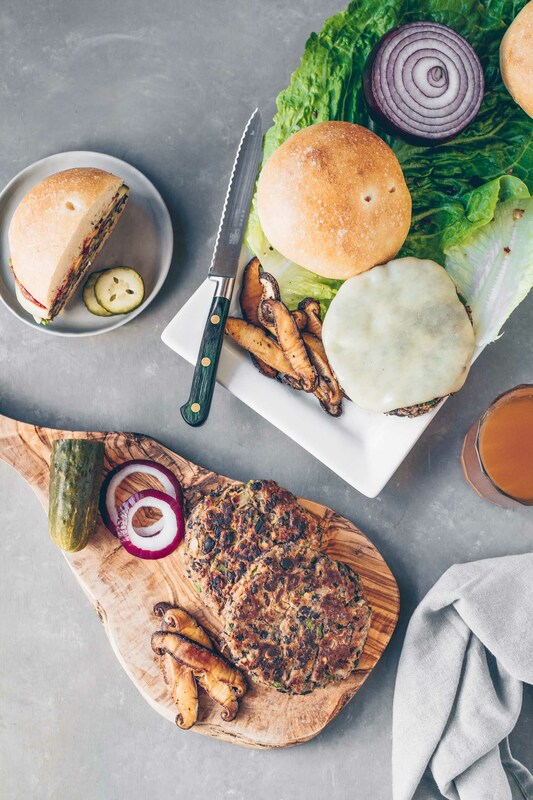 But the shiitake mushrooms–oh, my! The quick-roasting lent such depth to their already meaty flavor. All they needed was a drizzle of olive oil and a sprinkling of salt and pepper–the oven made them crisp and yes, more complex–what a huge umami boost! They were like pieces of fried bacon–I could not stop eating them right out of the oven. The sambal was also a great call. The chili paste doesn’t overpower the flavor of other ingredients it is combined with and here, the subtle kick was the perfect complement to the rest of this Asian-inspired pasta dish. At least in this dish, I’ve found balance. 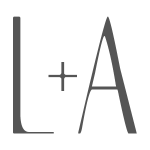 **I’ve got a great giveaway coming soon–stay tuned! Roasting the shitake mushrooms and eggplants first ups the umami factor of this simple dish while sambal adds a pleasant kick. To roast the eggplants and mushrooms, preheat your oven to 375 degrees F. In separate bowls, toss the eggplant cubes in olive oil, salt and pepper (and white balsamic vinegar, if using. I like to add this just for help with caramelization but you can omit). Do the same for the mushrooms in another bowl but without the vinegar. Be a bit more generous with the salt and olive oil here since the two absorb a lot of oil and the salt brings out their flavor. In separate baking sheets, arrange the eggplants and mushroom slices in a single layer. You can line your sheets with parchment paper to prevent sticking. Roast the mushrooms for about 7 minutes or until they are golden. Remove from the oven and set aside. The eggplants will need a bit more time, about 20-25 minutes total. To prepare the pasta, bring a pot of water to a boil and cook until al dente. While the pasta is cooking and when the eggplants are done, Sauté the garlic and chopped oregano over medium heat in a skillet. I like the garlic to have a more pronounced flavor here so I cooked it for about 3 minutes; just be careful so that it doesn't burn. After about three minutes, the garlic should be quite fragrant. Add the sambal. Try it with one teaspoon first. This will add some kick but the dish won't be hot. I used 1½ tablespoons to suit our taste. The sambal will sizzle and the oil will turn a reddish color. When it starts simmering, add the chicken stock (or pasta water) and lemon juice. When the mixture starts simmering again, add the mushrooms, eggplants and pasta. Turn off the heat. Toss everything together, plate and serve. This is my kind of pasta dish! I adore roasted vegetables, and I love that you thought to add the mushrooms. I know what you mean about needing balance.. I have been blogging for little over a year but with two kids, a job, and a house to take care of it can get to be overwhilming. This truly looks fantastic. I am trying to incorporate eggplant into my diet (it is not a fovorite veggie) and this looks like a great way to do that. I love all the flavors and the roasted shitake mushrooms are a real plus. Lovely photos too. Jean, we are on the same page, and I am really glad that you found your balance! 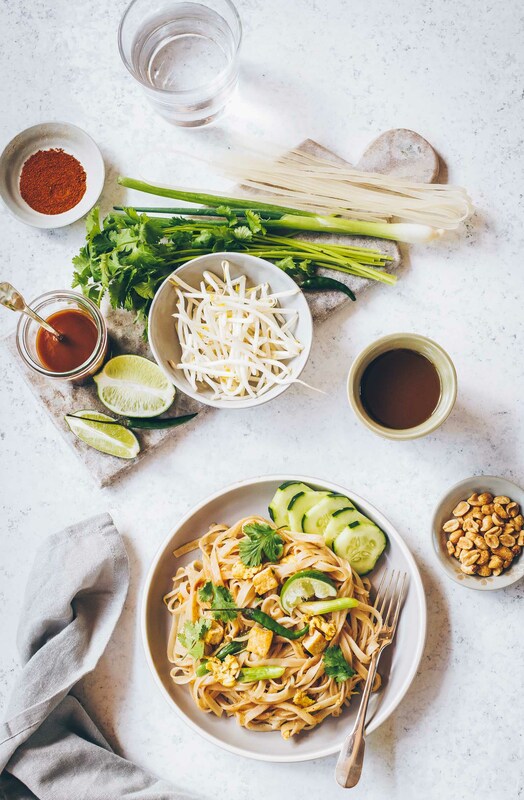 Great post and recipe is bursting with flavor..those photos are beautiful! thank you for sharing, will have to try this very soon! First of all, I can’t wait to hear about this product shoot! i need balance too! now with my new part-time gig as a kitchen designer, i am cooking less. never thought to roast mushrooms…will have to try soon! What a fabulous vegetarian recipe with great flavors and textures. This looks so delicious! Thanks for sharing. Dang girl, you are a biking riding fiend! 200 miles a week?! Impressive. This pasta sounds delicious. I love the spice and the mushrooms! jean, me too, i’m a sambal freak!!! also a sriracha freak…heehee. you know, this is my kind of dish! i can eat this everyday! 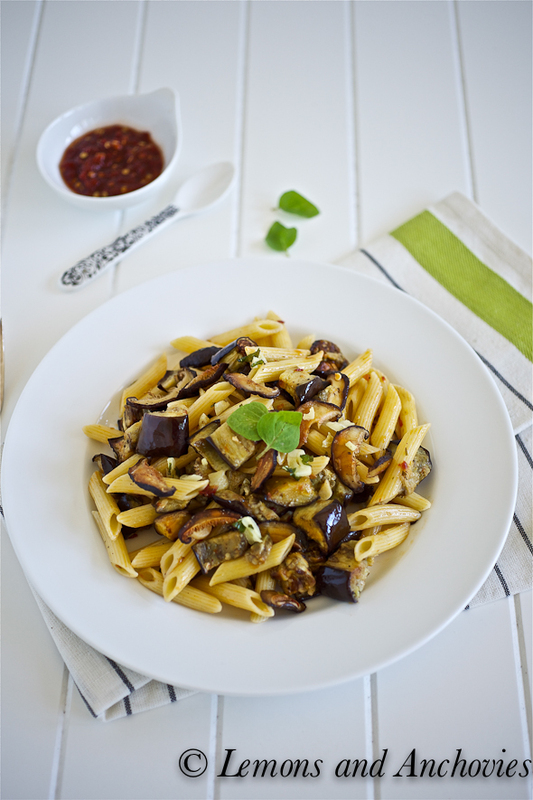 the only problem is, i’ll be the only one feasting on this eggplant sambal pasta! my dear hubby was traumatized by the texture of eggplant somewhere, sometime during his childhood. he won’t touch that stuff. to make matters worse, he’s not much into “spicy” stuff – so frustrating! well, one day when i just want to treat myself, i’m making this dish (i love shiitake too). he can go to mcdonald’s or burger king or something! LOL!!! Jean it looks wonderful, I just bought some eggplant. I know what you mean by setting up your bed next to the kitchen :).Love spending time in the kitchen too but I do tend to let other things go for the love of photos, blogging and such. This looks like a very delicious, hearty and healthy meal. I feel like the days fly by when I spend the majority of it in the kitchen. It is exhausting but satisfying at the same time. This is a very interesting pasta combination i saw. 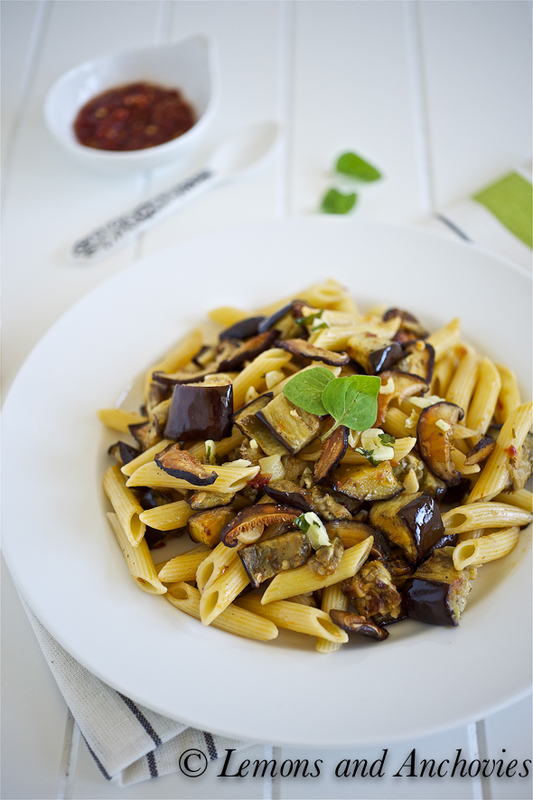 Never used eggplant with pasta before and this looks so yum and light that I can’t wait to give it a try! Can’t wait to hear about your product shoot. The penne looks incredible. My hubby would love the combination. I’m glad to hear that you are really enjoying blogging and cooking as much as you are. I can relate if I don’t cook I feel lost. Beautiful dish! 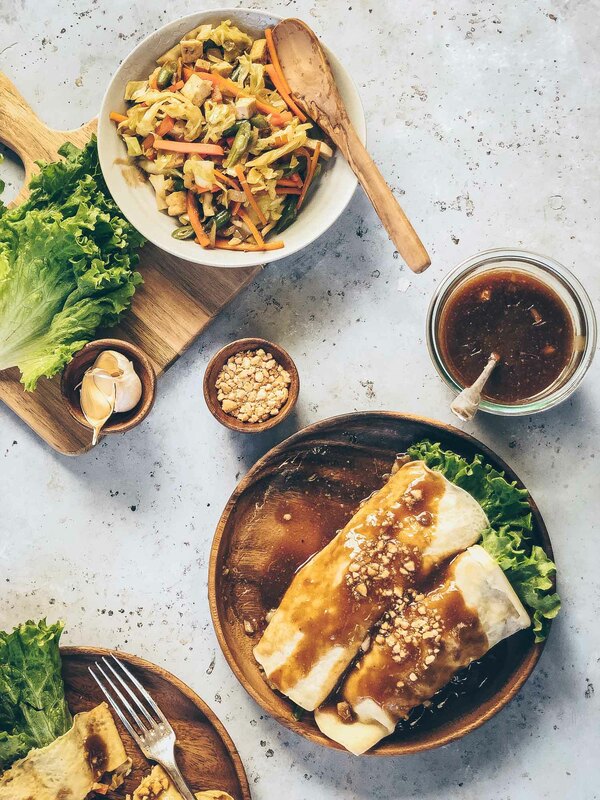 Finding balance is a struggle – there’s not enough hours in the day for everything we would like to do.This dish would be a big hit in my house, too – as soon as I get home I’m adding sambal to my condiment lineup. Can’t wait to hear more about your shoot! I’m the same way, balance is something I always have to remind myself to strive for. I’m definitly trying to get better though, lol! 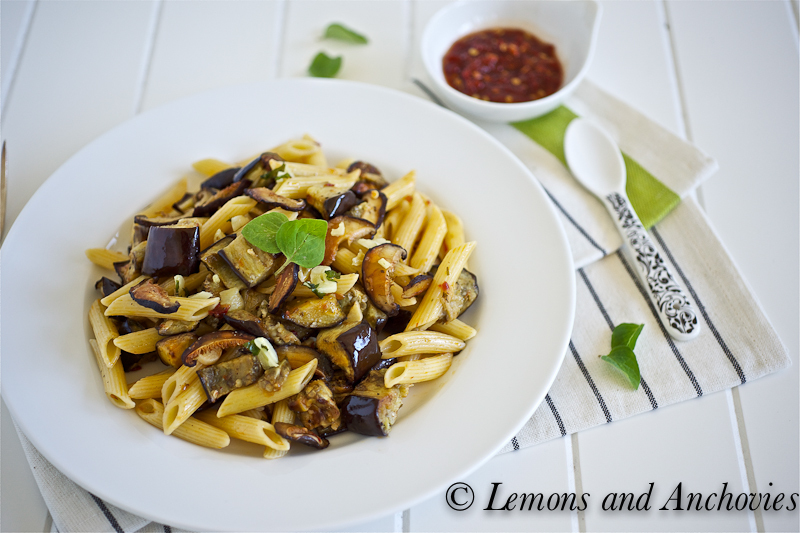 I love eggplant and it really sounds fantastic in this pasta…I love that light, flavorful sauce. I’ve been curious about your LE Creuset thing since you post a photo of Facebook. Can’t wait to see what surprise you’re preparing for us. This pasta dish sounds so good. So flavorful! I’m intrigued by this combination. I would not naturally think about pairing eggplants and mushrooms, but now that I see this combination I feel like I have to try it!! Hi Jean! I love shiitake and great to see pasta with it. I always like the combination of shiitake and eggplant but never ate it with pasta. Looks very light and delicious – almost like stir fry with pasta. I love the aroma of shiitake being cooked. Thanks for sharing the yummy recipe! Yum, yum…sambal with pasta! Now why didn’t I think of that? I usually make my own sambal from scratch so this should be a breeze to make – and to eat! Wow to your cycling log, I need to up my miles 🙂 (I feel like a slacker in comparison). Maya, I really, really want to make my own sambal from scratch–and very soon! I can only imagine how much better it tastes! As for the cycling, I used to log that many miles but it’s been a while so I will have to work up to it again. I’m determined to do that very soon. I’ve missed cycling! I’ve never tried shitake with pasta, but this looks fantastic!! And what a wonderful way to reward your husband for his patience 😀 Can’t wait to hear about your project soon. What a great combination of flavors – love sambal and shitake mushrooms. Finally got my hands on some shiitakes and I’m gonna throw them in the oven right now. I hear you on finding balance. My whole week has been out of whack with everything going on. Can’t wait for our jam session.